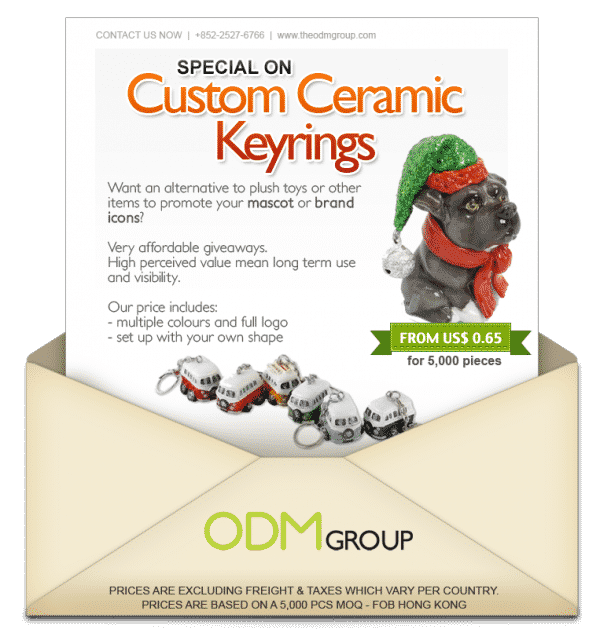 Ceramic keyrings are compact, small and make excellent promo gifts for those looking to build on their branding. ODM make a great number of plush toys & promo figurines each year and we feel that this is an amazing alternative to give your mascot new life. Your logo could be imprinted on the surface of the ceramic. Alternatively, the logo or the acronyms of your company maybe imprinted on one of the pendants. Promotional ceramic custom keyring would make the perfect promotional item for any company event. For this oriental design, it would be perfect for a chinese themed convention or event. This ceramic keyring is massively eye catching and attention grabbing. It would certainly boost sales due to the increase in brand awareness. This design is intricate. Its vibrant colours will attract many people. These techniques will enhance brand awareness. Most companies give out plush toys or similar. Having a ceramic key chain would be higher utility value. It allows for greater use after it has been received or purchased. You can stand out with a different gift or product like a key chain. 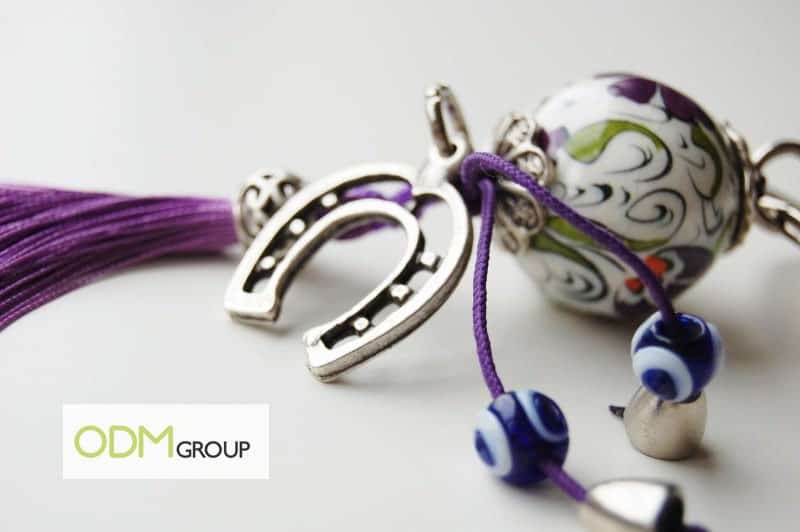 Key chains can be customised to make them branded and increase company awareness. Consumers also have the perception that the cost of manufacturing ceramic is way higher than plastic or metal. Most key rings are made with plastic or metal. Hence, creating a ceramic key ringwould allow your company to stand out once again. 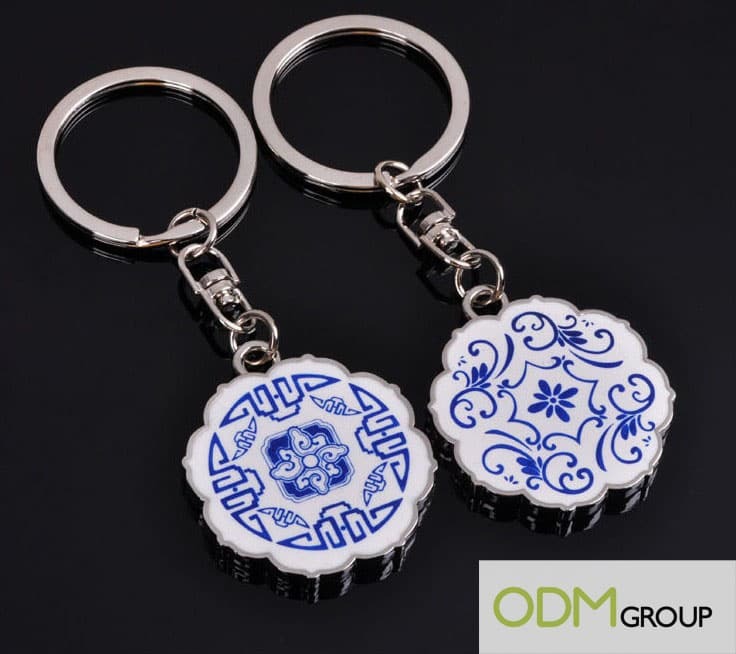 How will a promotional ceramic custom keyring benefit you? This marketing gift is one that would be able to generate huge brand awareness. Key rings are a practical gift. How many promo mugs or promo knives do do own? With this in mind, you are able to infer that this product is certainly one that would be highly utilized when received or purchased. This promotional gift offers high visibility for the brand as well. More people will tend to be drawn to the attractive design if the design is unique. Promotional key chains are can be eye catching if designed in the right way. ODM can help you design a key ring to create great brand reputation. As mentioned above, ceramic has a high perceived value and by having this as a promotional gift, it would definitely put the company and its brand in a good light. This product is one of high utility value and of low cost. If you are in Europe, please ask us about the Ceramic Anti Dumping taxes. Want to see more promotional branded product ideas? Check out this blog post about these cork style office bags. They are a unique gift, with an element of practicality. Custom packaging is another great way to maximise brand exposure. This gift set is a winner with its promotional socks! These key rings have a unique design and are sure to be a talking point. Key chains are a great item to use as a marketing idea. See this blog post for more information and inspiration about promotional gifts. With the purchase of the minion spray, shoppers receive a minion key chain. This innovative and not to mention, cute idea, is a winner with duty-free shoppers. A key ring can be any design you have in mind. They can be as minimal, fun or crazy as you would like. These great custom key chains have a location on each of them in English and Thai. This is a thoughtful gift for anyone travelling through each area or as a gift to bring back from someone at home. Brand promotion is easy with these kinds of products. 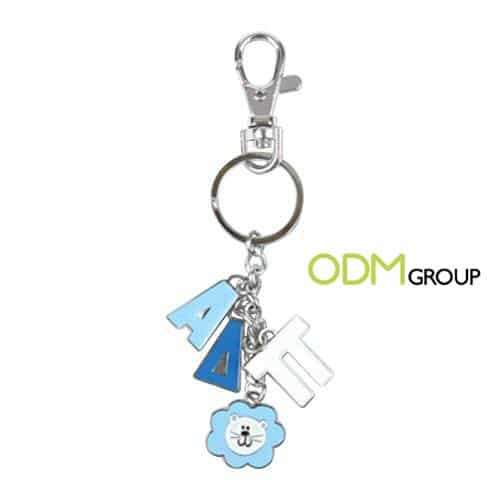 Your brand name can be placed on this key chain too!